How often do we feel that we are in our own little world? We can get so focused on ourselves, we forget how our attitudes and behaviours can affect others. A bad attitude can have a negative feel for everybody around. 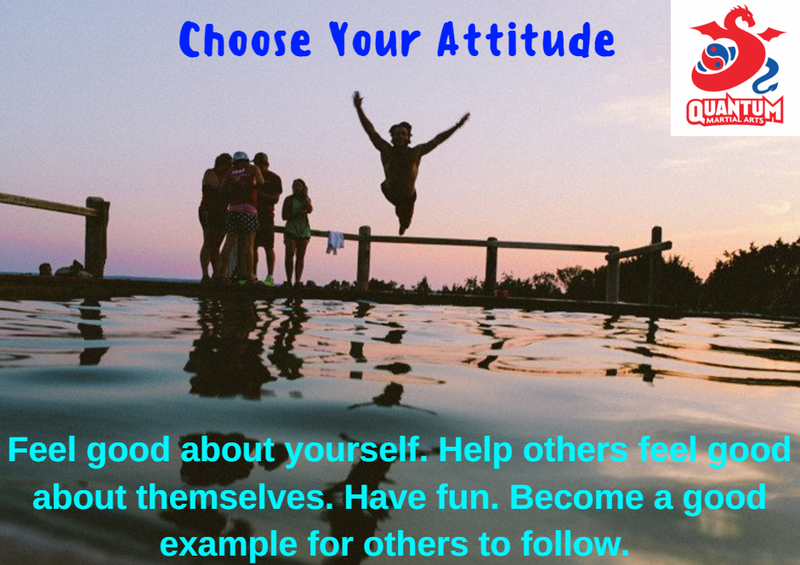 Conversely, a good attitude can have a lasting impact on yours and others lives. In martial arts, we learn to approach matters with calmness and awareness, as that will help you with the right response to situations. Use this same teaching to “choose your attitude” each day. Each morning, breathe, relax and make a conscious effort to choose your state for that day. When you combine a good attitude with other tenets such as service to others, it makes life worth living. You make other people’s day. You feel good about yourself. You have #fun. You become a good example to your family, friends and all around you.